Did you know a striking 75% of survey respondents age 18 to 64 have saved less than $100,000 for retirement? When you are running your small business, no two days are the same. But do you have the time and the staff to keep up with the evolving 401(k) market as well? Retirement plan accounting is pretty common for small business owners today! And according to the research, a fraction of America’s entrepreneurs are prepared for retirement. A retirement plan is that when the employee retires, they are going to transfer the business to a family member in exchange for a share of future wealth or a buyout or they are going to sell it off and turn that into cash. So, find the experienced retirement plan administrator, which present opportunities to reduce plan costs and pare the administrative burden long associated with offering a tax-deferred savings plan. Offering appropriate investment options is one of the key responsibilities of 401(k) plan sponsors. To ensure the options remain appropriate, the investments must be actively monitored. Remember, if you have not hired an investment fiduciary, you are the investment fiduciary, and the Department of Labor requires you to follow certain best practices. You should have sufficient understanding to defend various expenses should the plan be audited. Understanding your 401(k) Administration plan’s fees is not just an idea, it’s a requirement. You must be able to understand and document the fee structure of the plan. The good news is that 401(k) fees have been coming down. If your fees haven’t reflected this trend, then you either were already running a low-cost plan, or your plan expenses are too high. 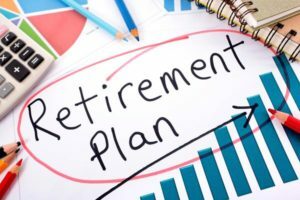 If you’d like more hands-on help keeping your small business retirement plan up-to-date, consider reaching out to an expert retirement plan administrator and behind your process.